Our 2019 rankings of the Top 10 Graphic Design School Programs on the East Coast. 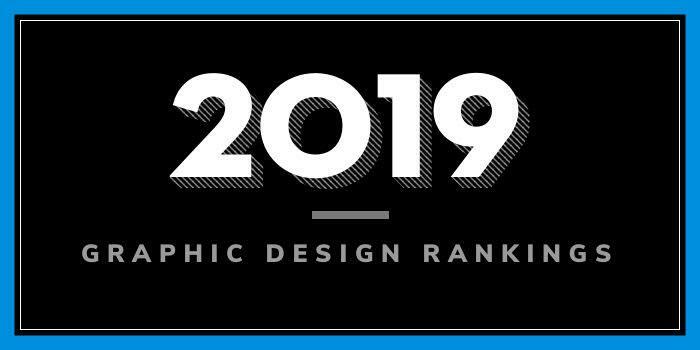 We considered 192 East Coast colleges with graphic design programs for this year's rankings. For an explanation of ranking criteria, click here. For rankings purposes we define the East Coast as Virginia, Rhode Island, Maryland, Pennsylvania, New York, Delaware, Connecticut, Massachusetts, Vermont, New Hampshire, and Maine. Founded in 1877, Rhode Island School of Design (RISD) is one of the first art and design schools in the U.S. This private art and design school serves approximately 2,480 students from across the U.S. and 57 other countries, enrolled in 32 graduate and undergraduate art and design programs leading to a BFA, MFA, five-year Professional Baccalaureate, or a Bachelor of Architecture. Aspiring graphic designers have two options—a BFA or MFA. One of the largest departments at RISD, Graphic Design offers “countless opportunities to collaborate within and beyond the discipline,” thanks to access to approximately 165 undergraduate majors. The MFA program offers the same opportunity, as well as two tracks: a two-year option designed for students entering with undergraduate degrees in graphic design or other visual communication, and a three-year option designed for students with degrees in liberal arts, the sciences or fine arts. An impressive 96% of all RISD graphic design graduates are employed one year after graduation. 70% are employed in positions directly related to their major. Founded in 1826, Maryland Institute College of Art (MICA) is the oldest degree-granting college of art in the nation. The school serves nearly 3,500 undergraduate, graduate, and continuing studies students from 49 states and 65 countries in fine arts, design, electronic media, art education, liberal arts, and professional studies degree and non-credit programs. MICA’s more than 80 art and design programs lead to either a BFA, MA, MFA, MPS or Certificate. Programs for aspiring graphic designers include a BFA in Graphic Design with three Concentrations including Graphic Design Studio, Book Arts Studio, and Graphic Design + Humanistic Studies, an MA in Graphic Design (GDMA) and an MFA in Graphic Design (GD MFA). The MA program prepares students for advancing their careers and/or for applying to the competitive MFA. Program highlights include an “intensive introduction to design,” provided by the GDMA Studio, “taught with a strong emphasis on design fundamentals, process, visual research, and working across media,” a Design Theory and Practice Seminar, and the GDMA Workshop. Through the workshop, GDMA students will have the opportunity to create and exhibit a self-directed design project and a professional portfolio. Founded in 1900, Carnegie Mellon University (CMU) is a global research university that serves approximately 14,625 students from more than 100 countries. The school offers more than 100 programs across seven colleges and schools. The College of Fine Art, School of Design, offers a Bachelor of Design (BDes), formerly BFA, with three tracks: Products, Communication and Environments. Students may focus in one or all three areas or pursue a more interdisciplinary focus that combines two of the three. Other undergraduate options include the Minor in Design Application and the Undergraduate Interdisciplinary Degree known as “BXA,” which provides students with the ability to evenly balance their study of humanities or sciences with design. While BXA majors may take 26 design courses and 15 outside courses, most BXA students take 12 design courses, with the balance of their courses taken outside of the School of Design. The Minor is for students admitted to other programs on campus who are interested in gaining “fundamental design skills and/or exposure to design.” Graduate options include a one-year Master of Arts (MA) in Design program, a one-year Master of Professional Studies (MPS) in Design for Interactions, a two-year Master of Design (MDes) in Design for Interactions program, and a PhD in Design Studies. Founded in 1701, Yale University is home to more than 12,300 students enrolled in dozens of programs in the areas of art, architecture, divinity, drama, forestry and environmental studies, law, management, music, public health, and more. The school, which houses more than 145 departments and schools, is home to one of the most prestigious fine arts schools in the U.S. Established in 1869, the Yale School Art was the nation’s first art school connected with an institution of higher learning. With an enrollment of more than 100 students, the Yale School of Art offers MFA degrees in Graphic Design, Painting and Printmaking, Photography, and Sculpture. An interdisciplinary Film & Video program is also available. Lectures, presentations, and workshops are also part of the program as well as access to “extraordinary” resources including Yale University courses, conferences, films, lectures, museums, and the “extensive” research and rare book collections of Sterling and Beinecke libraries. The Yale Graphic Design MFA takes two years to complete, full-time. Founded in 1896, Parsons The New School for Design is home to nearly 5,500 students enrolled in 27 undergraduate, graduate, and associate degree programs. Parsons houses five schools, including the School of Art and Design History and Theory, the School of Art, Media, and Technology (AMT), the School of Constructed Environments, the School of Design Strategies, and the School of Fashion. The School of Art, Media, and Technology offers several degree programs for aspiring graphic designers. Offerings include an AAS in Graphic Design, a BFA in Communication Design, and an MPS in Communication Design. The AAS program provides a “solid foundation in the traditional practices and concepts of graphic design,” while the BFA covers typography and interaction. Sponsored projects are in the areas of publication, interaction design, branding, advertising, type design, information design, motion graphics, and environmental design. The one-year, 30 credit hour MPS program offers a concentration in Digital Product Design. Per the school, the program “combines instruction in advanced interaction design with coursework that develops your user-experience, design-thinking, and collaboration abilities.” Students will graduate with “industry-ready conceptual and front-end development skills and a network of design professionals to help” them “advance in or enter a rapidly growing field.” Career opportunities include Interaction Design, User Experience (UX) Design, Digital Product Design, and Product Management, to name a few. Note that Parsons also offers a Graphic and Digital Design Certificate through its continuing education department. The program, which consists of six courses, can be completed online or through a combination of online and on-campus courses. Founded in 1887, Pratt institute is home to more than 4,800 students enrolled in more than 20 undergraduate degree programs, 25+ graduate degree programs, and a variety of Certificate and Minor programs across five schools and The Center for Continuing and Professional Studies. 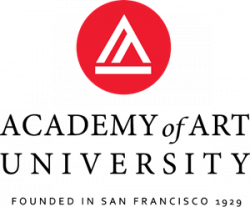 Founded in 2014, The School of Design offers “up to four of Pratt’s oldest and most esteemed disciplines,” including Communications Design, Fashion Design, Industrial Design, and Interior Design. Per the School of Design, the Communications Design program is the “the only program in the country that recognizes and embodies the convergence and integration of Illustration, Advertising, and Graphic Design as the primary forces for the visual expression of ideas.” Students may Concentrate in any of three areas (Illustration, Advertising Art Direction, Graphic Design). The undergraduate program for aspiring graphic designers leads to a BFA in Communications Design with a Graphic Design Emphasis. The School of Design also houses the Graduate Communications Design Department, which also offers an MFA in Communications Design and an MS in Package Design. For students who are not yet ready to commit to a degree program, the School of Continuing and Professional Studies (SCPS) offers Certificate Programs in Digital Design including Graphic Design, Computer Graphics, Motion Graphics and others. These programs may be taken individually or “stacked,” producing an “accelerated path to completion.” Like the undergraduate and graduate Communication Design programs, Certificate programs offer the opportunity to complete an internship. Students in all programs will have the opportunity to enroll on one of more than 20 study abroad programs and international exchange programs in over a dozen locations such as Florence, Milan, Copenhagen, London, and Tokyo. The Cooper Union for the Advancement of Science and Art (CU) was founded in 1859 by inventor, industrialist and philanthropist Peter Cooper. The school offers programs in the areas of Art, Architecture and Engineering, and courses in the Humanities and Social Sciences. With nearly 1,000 students enrolled (2017-2018), CU’s art students account for 32% of the student body. The School of Art at Cooper Union offers a flexible BFA in Art with a Specialization in Graphic Design. Students in the program may take elective studio classes and seminars, offered on a rotating basis, they may choose to focus their work in one or more areas of specialization, and they may enroll in advanced studio classes with the same course number multiple times. Students are also “encouraged to follow an integrated approach by selecting from various areas while observing a prerequisite system designed to allow in-depth study in specific disciplines.” Other program highlights include Internship opportunities and study abroad opportunities. Founded in 1947 as “Cartoonists and Illustrators School,” School of Visual Arts (SVA) serves nearly 4,300 students from across the U.S. and abroad. The school offers 11 undergraduate and 21 graduate degree programs in areas ranging from fine arts and graphic design to filmmaking and photography. The programs at SVA lead to a BFA, MFA, MA, MAT or MPS degree. Offerings for aspiring graphic designers include a BFA in Graphic Design that consists of 72 credits of studio art courses, 30 credits in humanities & sciences, 12 in art history, and six elective credits. An internship is part of the program, as well as the opportunity to focus in Package Design, Editorial Design, Information Graphics, Corporate Identity, Publication Design, CD Packaging, Book Jacket Design, Environmental Design, or Website Design. Virginia Commonwealth University (VCU) was established in 1838. It is home to more than 31,000 students enrolled in more than 200 programs through 15 colleges and schools. The School of the Arts, which serves more than 3,000 students, offers 25 degree programs. An additional four programs are offered at VCU’s Qatar campus. The School of the Arts (VCUArts), Department of Graphic Design, has several programs for aspiring graphic designers. Options include BFA degrees in Graphic Design and Communication Arts, and an MFA with a Concentration in Design/Visual Communications. Per the Department, students in the MFA program “concentrate on the philosophical, communicative, and aesthetic relationships of visual problem solving and the interacting skills leading to the effective articulation of concepts.” BFA students will take courses in the areas of Publication and Print Design, Sequential and Motion Design, and Interaction Design, “along with a series of related Studio and Seminar courses.” Both BFA options prepare students to create effective visual communications. Founded in 1829, Rochester Institute of Technology (RIT) serves more than 19,000 across nine colleges emphasizing career education and experiential learning. The school, which has global locations in China, Croatia, Dubai, and Kosovo, offers several programs for aspiring graphic designers. Programs include a BFA in Graphic Design and an MFA in Visual Communication Design. Offered through the College of Art and Design, School of Design, the BFA integrates major courses, studio and free electives, and liberal arts, as well as aspects of business, professional practices, computer-based skills, collaborative projects, and workflow. Students can expect to take courses such as 2D and 3D Design, Time-Based Design, Interactive Media Design, Web and User Interface Design, Branding and Identity Design, Design Systems and Methodology, and Experiential Graphic Design. All students in the BFA program will complete a portfolio and Senior Capstone Project. The MFA in VCD, which enrolls around 100 students, allows all eligible students to participate in an optional co-op program the summer between their first & second years. Some students may have the opportunity to participate during the fall and spring terms.